We offer a variety of different types of auto parts to fit numerous models of vehicles at eEuroparts.com. 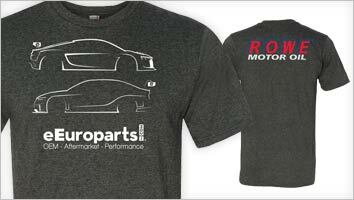 Among the parts we offer are VolvoV50 parts. No matter what type of V50 parts you may be seeking, you can find them here. Prior to the end of 2003, Volvo launched another vehicle. 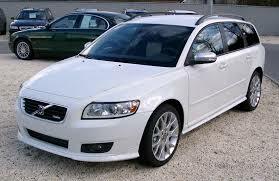 This vehicle was the Volvo V50. This new model was intended to serve as a replacement for the previous V40, which had come onto the market in 1995. One of the most immediately noticeable elements of the V50 was that it sported an undeniable Volvo identity. When it came to the interior, the V50 offered a design that was clean and crisp. Volvo had already developed a reputation as a leading manufacturer of estate vehicles. With the introduction of the V50, Volvo was able to continue that strong tradition. The high-mounted tail lamps and shape of the vehicle were just a few elements that managed to ensure the V50 could be easily recognized while on the road as a Volvo. As was the case with other vehicles from Volvo, the V50 also offered unrivaled safety features. Among those was an all-new front structure that was patented along with multiple crumple zones to provide occupants with enhanced protection in the event of a crash. The V50 also offered the availability of a 5-cylinder petrol engine. This five-door estate vehicle is still in production. If you are in need of V50 parts for your Volvo, you can find them at eEuroparts.com.